In order to complete the engineering organization in Atlas Copco Product Company Brendola, we are looking for new Project Leader Engineers in both Compressors and Refrigerant Dryers areas. Your mission will be to lead projects that will include new designs, localizations from other product company (if required) of existing products , cost reduction projects and qualification of new project/solution which could improve cost/reliability of compressors and refrigerant dryer. You will work in close cooperation with the Product Manager of Atlas Copco Brand and the Product Manager for Brand Portfolio and report to your Team Leader. Your responsibilities will include: Strong commitment of the team to realize projects on time in full, with as key objectives to meet the committed project timing and target product cost. Continuous focus on reliability and safety of the machines designed under your responsibility. Overall coordination of projects: chair the Project Team Meetings, report the status on the technical meeting (PCM) and coordinate with the other departments (production, sourcing, service and marketing). Design “first time right” by designing for assembly (cooperation with production), designing for manufacturing (cooperation with suppliers), designing for service (cooperation with CTS Division) and designing for superior performance. 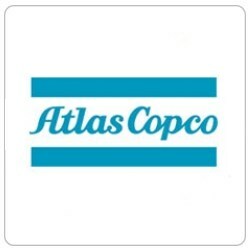 Continuous and strong interaction with the other design centers in the Atlas Copco Group, use same and agreed development process and development tools. Project team working and product development is a plus. Knowledge in machinery design and willing to learn in technical area. Good knowledge of Italian and English both oral and writing. Knowledge of MS Office, BPCS, CAD tools and MRP systems is an asset. Bachelor or master degree in Mechanical Engineer. You are a positive thinking, open-minded team leader with a strong interest to work in an international company. You take initiative and are committed. You are a strong communicator and committed to convince others to contribute to the realization of projects. Your projects are characterized by strong innovation. You take responsibility to develop your team. You see a challenge in every obstacle.